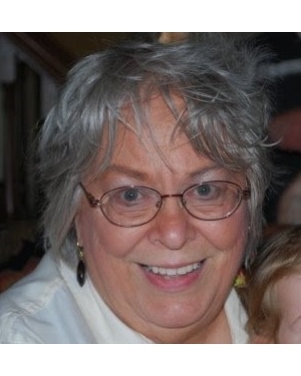 Lee Grace Dunn Shahan, of Norman, loving mother of four children, 11 grandchildren and two great-grandchildren, passed away of natural causes at the age of 80, on Saturday, March 30, 2019. Lee was born on December 25, 1938 in Oklahoma City to L.G. Dunn and Artie Lucille Marti Dunn. She received a Bachelor of Arts in English from the University of Oklahoma in 1966, and in 1970 she was awarded a Master of Arts in English Literature. Lee taught college English, and had a long career as the Director of Admissions and Student Services, and as the Director of Career Services at the OU College of Law. Lee raised four children, Kelly, Kenneth, and “the twins,” Kathryn and Kyle. The joy of Lee’s life was watching the growth and accomplishments of her children and grandchildren. She was constantly doting on all of them, and spent her days calling, texting, and emailing to stay in touch. For Christmas and birthdays, her already-wrapped presents never failed to timely arrive, all around the world. Her other passions were literature, the First Presbyterian Church, the Chickasaw Nation, OU football, the OKC Thunder, classical music and travel. Her trips to Oxford, England with her late sister Marti; to Germany and Western Europe while visiting Kelly and her family after she retired; to Japan for Kyle’s wedding; and to Hawaii to visit Ken and his family, left lifelong impressions. Lee will be remembered for her youthful spirit, zest for life, wonderful laugh, and keen intellect. But to those close to her, it was Lee’s kindness, generosity and love of family that stand out the most. Lee was preceded in death by her parents, her beloved sister and best friend, Marti Dunn Hunnicutt, and her adored son-in-law, Matt Terry. She is survived by her four children, Kelly, Ken (and wife Amy), Kathy and Kyle (and wife Kyoko); her 11 grandchildren, Steven, David, Sabrina, Megan, Danny, Heather, Kylah, Kaycie, Charlotte, Matthew, and Oliver; her two great-granddaughters, Madison and Isabella; and her much loved nieces and nephews, April, Tim, Elizabeth and Victoria Marley; and Michael, Melissa, Cecilia and Brandon Hunnicutt.